A one-year-old girl who fell from the window of a third floor flat in Clydebank on Wednesday has died. 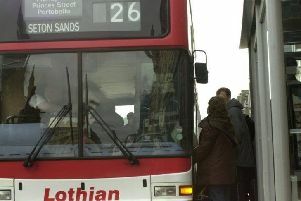 Police Scotland said inquiries into the incident were continuing but there were no suspicious circumstances. An earlier statement said the police are seeking neighbours or passersby who saw her at the window in the moments before she fell. The child fell from the tenement window on Dumbarton Road at around 2.10pm. The Scottish Ambulance Service sent an ambulance, a trauma team, and its special operations response unit to the scene. Detective Inspector Steve Martin from the Family Protection Unit based at Clydebank said: “The little girl’s family have been left devastated by the loss of their child and we are investigating the circumstances surrounding what happened. “I continue to appeal for anyone who was in the area at the time, who may have rendered assistance to the family or emergency services, to please get in touch. “I would also ask any motorists who were in the vicinity to check their dashcams in case they have captured anything which may be of significance. Earlier reports suggested the girl was two, but police have confirmed she was a year old.